Macau Poker Cup Red Dragon (August) Satellite – 1 Seat Guaranteed! the first ever LWPS Idol contest - winner receives entry to Greed Event! Season 2 Leaderboard Points up for grabs – Top 15 win Entry to $600 Grand Finale! Extension charge waiver (1 day) for all ME participants. Win your ME seat on the cheap! 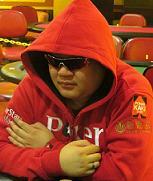 Satellites to the LWPS IX Main Event running Tuesdays, Thursdays and Fridays, at 9pm(GMT + 8) on Pokerstars. Look under Tourney/Regional to locate the satellites. Call NCTours @ +65 6214 2822 , or @ +60 7254 3990 to reserve your ferry tickets and cabins now! Read more about the LWPS here, and check the LWPS FAQ for answers to all your questions. Can someone provide the info of the blind level timings for each event? We play 15 minute levels for Event 1. All other events will have 20 minute blind levels. Thanks is the Corona Greed Event a freezeout/w-rebuy event? xaz wrote: Thanks is the Corona Greed Event a freezeout/w-rebuy event? is the promotion for bring a fren who never come before and get waiver of the $20 entry fee for the free roll still available ? I still offering the XE of chips on board. Hi guys, may i know whether i can still register for the main event, this is my first time and i am quite interested in trying out. jjthejetplane wrote: Hi guys, may i know whether i can still register for the main event, this is my first time and i am quite interested in trying out. The registration will be on the ship. So the thing you can do now is call to book your tixs to LW... Cya there!!! hey thanks alot, that is better. Anyway one last question, how much is the ferry tickets + the room ?! sorry for that many questions.